Poppin Inc., of New York, N.Y., is recalling about 2,800 Pitch rolling chairs. 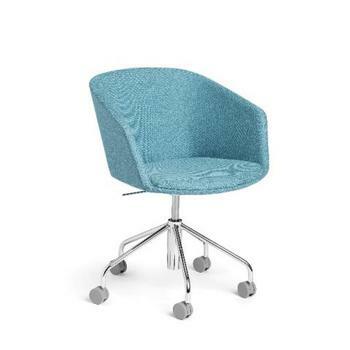 This recall involves Popping Pitch model rolling chairs upholstered in fabric and was sold in five colors: Red (model #: 103772), Blue (model #: 103767), Dark Gray (model #: 103769), Khaki (model #: 103771), and Dark Blue (model #: 103768). The chair has a chrome-plated base, five roller wheels and measures about 33 inches tall and 25.5 inches wide. The Poppin logo and model number are printed on the chair’s seat plate underneath the chair. The chairs, manufactured in China, were sold exclusively at Poppin showrooms nationwide and online at www.poppin.com from March 2016, through September 2017, for about $400. Consumers may contact Poppin toll-free at 888-676-7746 from 9 a.m. and 5 p.m. (ET) Monday through Friday, by email retrofits@poppin.com or online at www.poppin.com and click on Recall Information at the bottom of the page for more information.